So many aspects of our elopement came together serendipitously, with no other explanation other than that the universe really was on board with this union. 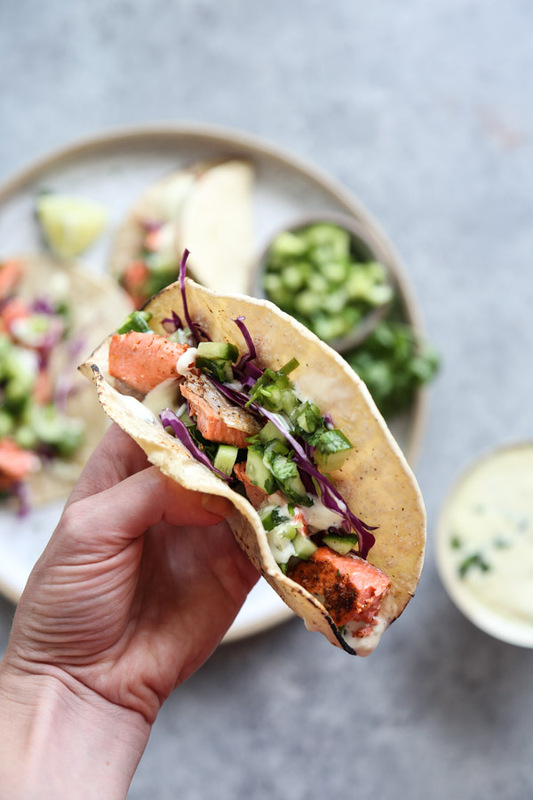 Later this week I’m going to get into them all, but in the meantime, I’ll give thanks to the reason these salmon tacos came to be, shortly after our nuptials. I caught another lucky break shortly after announcing the big news to family and friends. My first night back home, there was already a girls dinner that had been on the calendar for months. 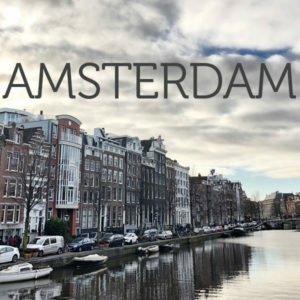 Earlier that week during our period of secrecy, I had offered to host, in anticipation of completely torpedoing a casual catch up with a me-centric play by play of the five days leading up to getting married. And the food had to be extra delicious to compensate for half the team coming to Brooklyn. My go-to in these scenarios, especially when there’s a reason to be extra festive, is to throw a little taco fiesta. Thank to my Butcher Box subscription, and a lot of summer travel, my freezer has been busting at the seams with meat and seafood. I decided to finally put to use the 2 pounds of sockeye salmon that arrived in my last order and pioneer the most delicious salmon tacos recipe that ever existed. In case you’re not aware, there is a formula involved to crafting the perfect fish taco. It needs to be creamy, usually thanks to sour cream or a Baja-style mayo-based white sauce. It needs to be crunchy, either through deep frying the fish itself or by adding plenty of raw vegetables. It needs to have a hint of heat, which can always be achieved through a little hot sauce on top. And finally, it needs to have a sour, pickled edge that cuts the heat and the healthy fats, and makes the whole bite come together in balanced perfection. Now that you’re convinced of my expertise, here’s what I did in the case of these salmon fish tacos: the sockeye fillets were coated in a homemade spicy seasoning mix and blackened under the broiler, which not only made the fish super flavorful, but also meant it cooked in under five minutes. 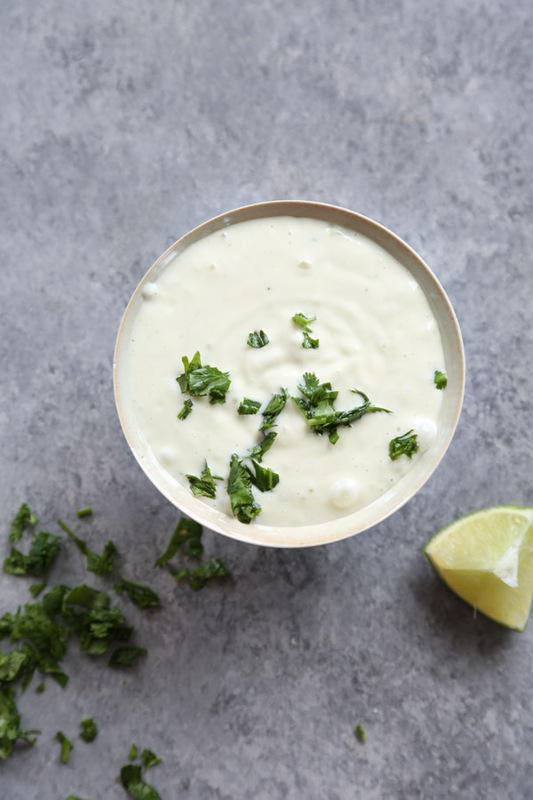 I whipped up a creamy, killer white sauce using the mild part of the jalapeno, plenty of lime juice, and mayo. And I added the necessary sour crunch with a quick pickled cucumber salsa. My friends, being goddesses that they are, brought the bubbles, bouquets, pink party hats, mezcal, and most importantly, UNICORN PINATA!! The best pseudo, after-the-fact, hen dinner I could have ever asked for. 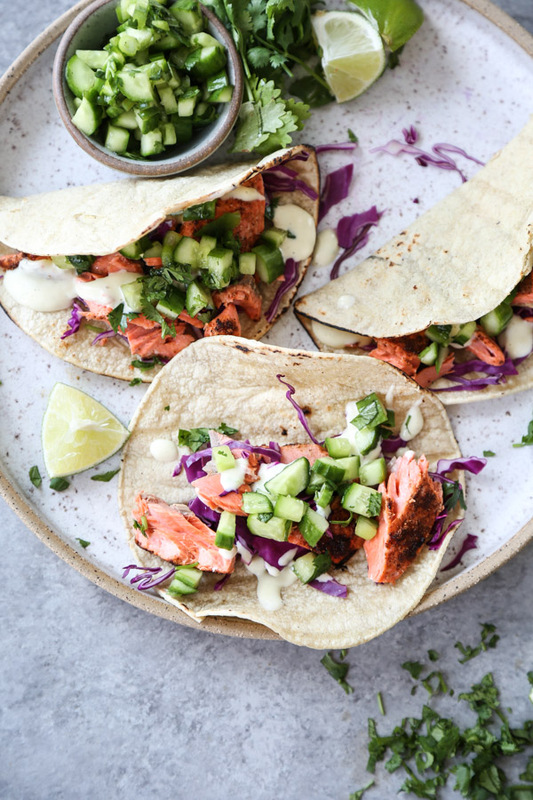 Read on for this salmon tacos recipe. Regardless of your marital status, it’s the perfect fiesta buffet to serve your friends all summer long! 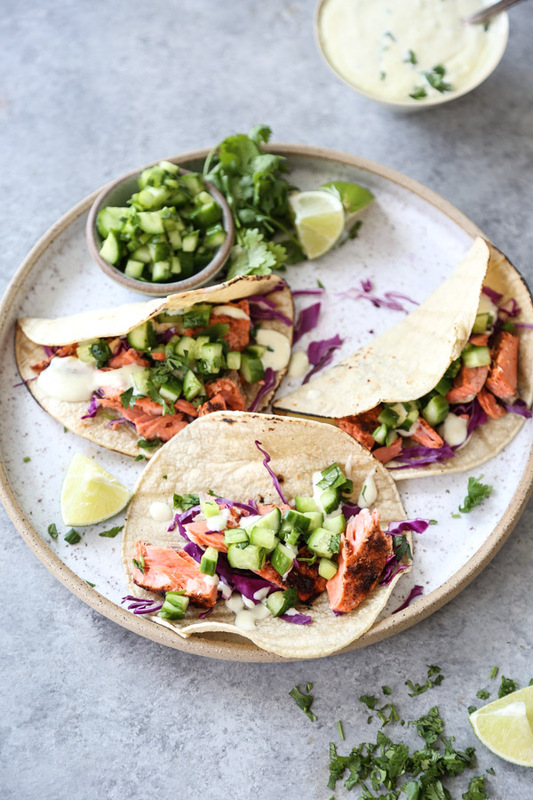 This salmon fish tacos recipe has all the elements of a perfect fish taco: spice, creaminess, crunch and a pickled punch. 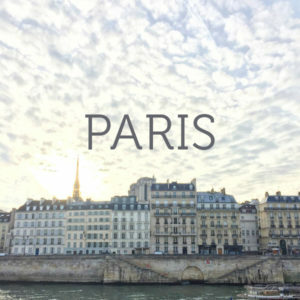 It may look like a lot of ingredients and steps, but they are all relatively streamlined and straight forward. I promise, not only is this the tastiest, but it’s the easiest fish taco recipe around. 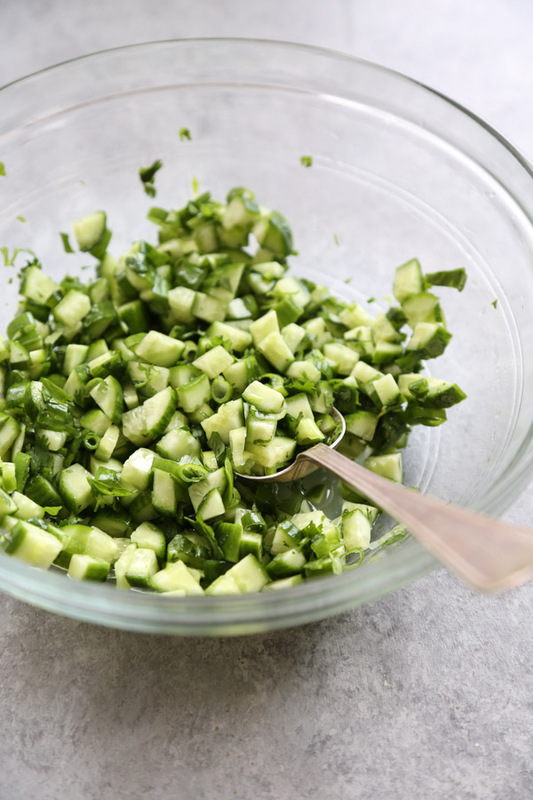 Make the salsa: in a medium mixing bowl, combine the cucumber, scallions, jalapeno, cilantro, lime juice, honey and salt. Toss to coat and set aside. Make the aioli: in a small food processor or blender, combine the mayo, jalapeno, garlic, lime juice, and sea salt. Puree until smooth. Transfer to a serving bowl and set aside covered with plastic wrap. 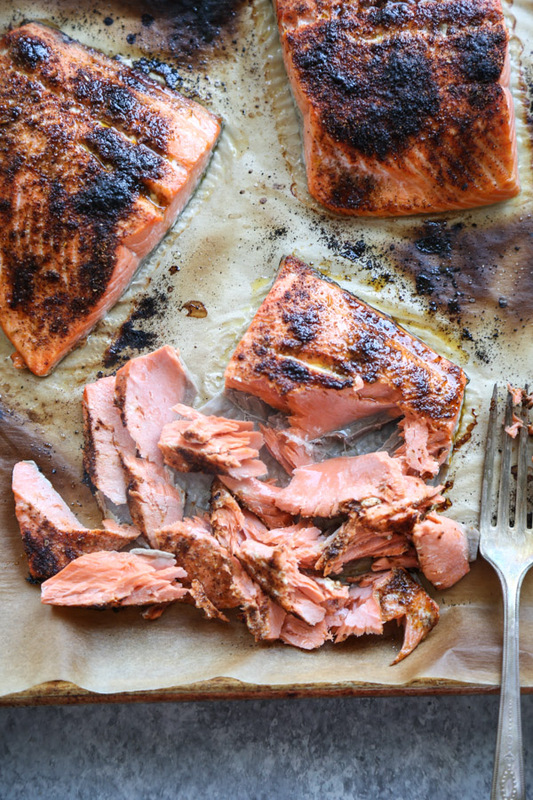 Make the salmon: preheat the broiler. In a small mixing bowl, stir together the cumin, paprika, chili powder, and cayenne. 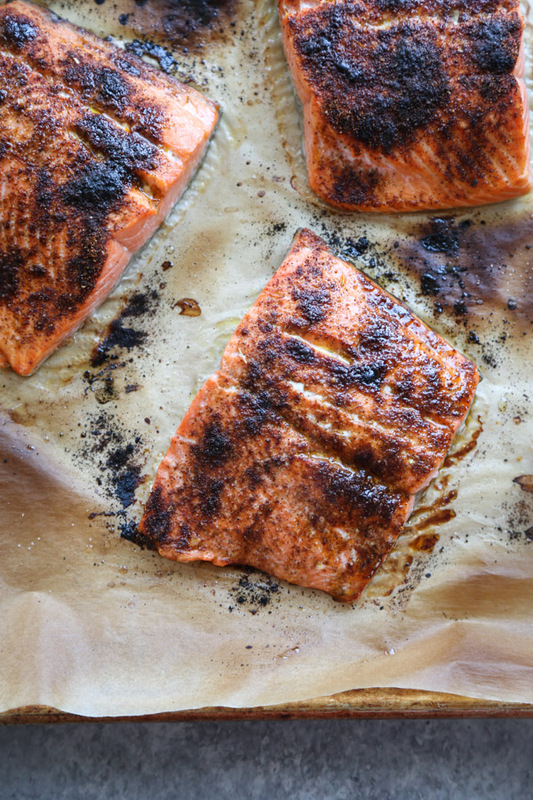 On parchment-lined baking sheet, arrange the salmon skin-side down. 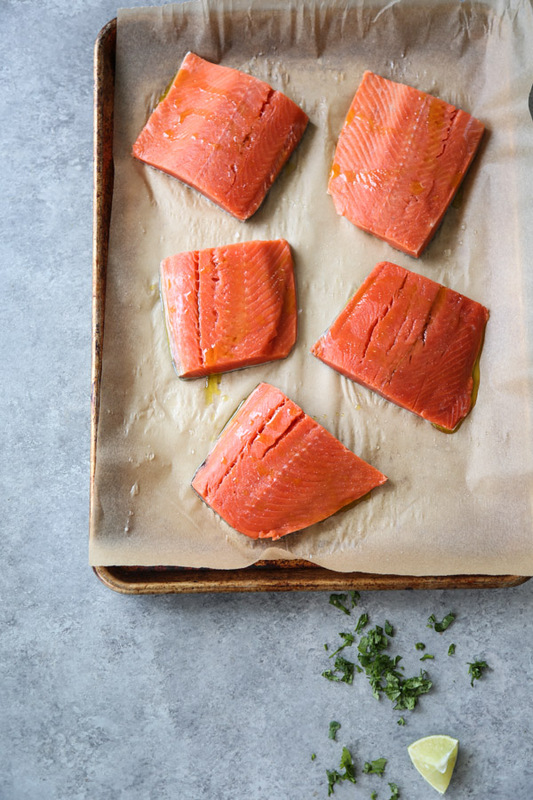 Drizzle the fillets with olive oil and season generously with salt, using your fingers to coat the skin thoroughly. Sprinkle the spice mixture evenly over the fillets. 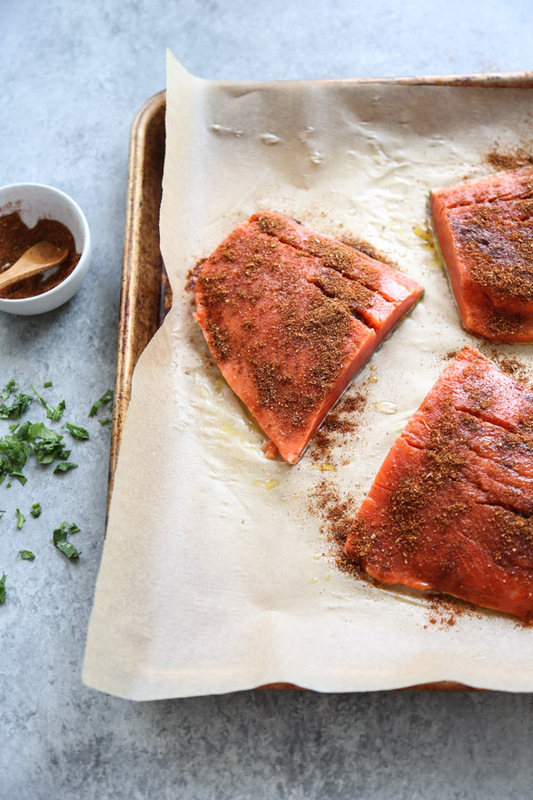 Transfer the pan to the oven and broil for 5 minutes, or until the top of the salmon is blacked and the meat is cooked to medium. Set aside to cool. Meanwhile, wrap the tortillas in foil and transfer to a 350 degree oven to warm through. 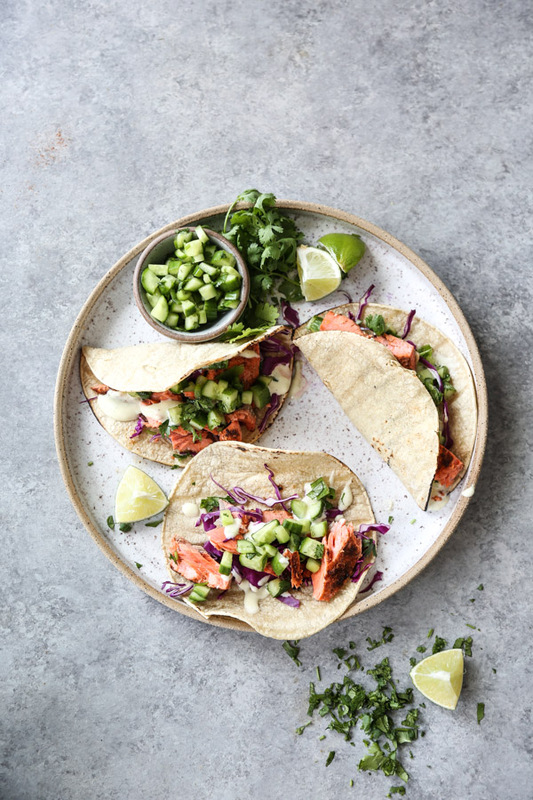 Assemble the tacos: with two forks, flake apart the salmon into bite-sized pieces. Discard the skin. Stuff each warm tortilla with a layer of cabbage and salmon and garnish with the cucumber salsa and jalapeno aioli. 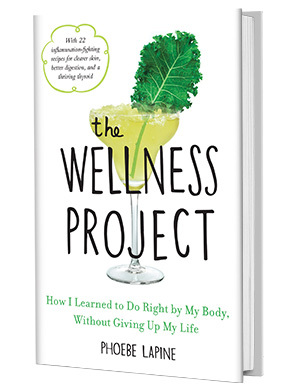 Serve alongside extra lime wedges and cilantro leaves. To make this low FODMAP, simply omit the garlic and use green parts of the scallions only.